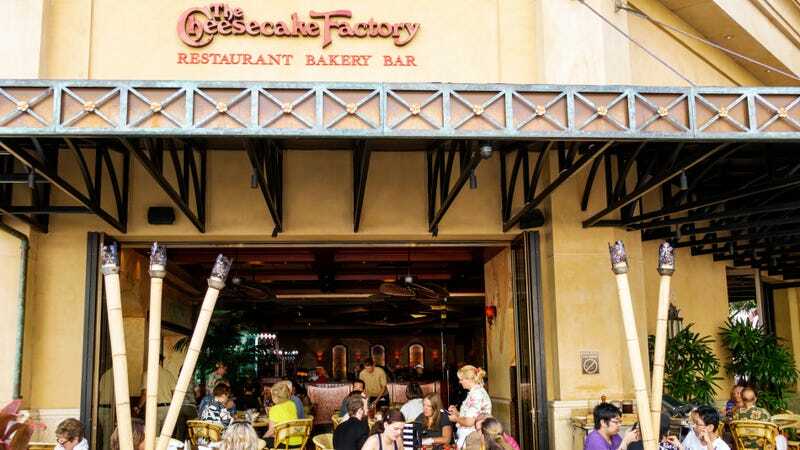 The Cheesecake Factory has pinned a statement to its Twitter page, saying that two staff members “are no longer employed with the company,” and that the restaurant has “reached out to Mr. Joseph directly to ask for his assistance”—assistance in what, is unclear. The Daily Wire reports, though, that Joseph says that “The Cheesecake Factory has not reached out to him and did not apologize to him in person after the alleged incident happened.” The Daily Dot reports that The Cheesecake Factory also tweeted, “The situation may have been exacerbated by an all-staff meeting that took place during our shift change between our staff members working the lunch and dinner shifts—which may have been perceived as a crowd gathering near the guests’ tables. We look forward to speaking with Mr. Joseph to welcome him back into one of our restaurants.” Maybe don’t hold your breath, Cheesecake Factory.